Liszt began work on an Italian opera in 1845. He started composing in 1850 but abandoned the project after completing the first act. The score — written largely in shorthand — was known to only a small number of Liszt scholars who concluded that it could never be performed because the material was incomplete and largely indecipherable. David Trippett, Senior Lecturer in the Faculty of Music at Cambridge University, saw it differently, and spent three years deciphering the forgotten 115-page manuscript, decoding Liszt’s notes and supplying a 20-bar finale. The result is the complete first act of Sardanapalo, Liszt’s only mature opera, based on Lord Byron’s Assyrian tragedy of 1821, Sardanapalus. "When I first encountered the musical manuscript, it was clear that only tiny portions of it could be read fluently, it was full of various types of musical shorthand; spatial gaps, revisions, deletions, and some seemingly ‘missing’ passages," said Dr Trippett. "The task of deciphering and piecing this together, was painstakingly slow. After an initial transcription of the manuscript, I went through the score another 15 times or so, bar by bar, cross-referencing themes and ideas where necessary, transcribing the rhythmic patterns and harmonic side-steps. If you know Liszt’s musical style and notational practices, it’s quite possible to peel back the layers and get to the point where you can see just what is written down, and how much music is there." Dr Trippett says his first question was: could this be performed? "Unlike unfinished art, unfinished music needs performance to be experienced as music. It works through time. Quite early on, I began to work with singers from Covent Garden to try out the emerging lines, to see how the music fits in the voice, to see what kind of tempo and articulation work. Making that leap into sound for the first time was exhilarating!" Several stages of revision were clear in Liszt’s manuscript, and by examining the different ink and pencil colours, and reading across the spatial gaps of the empty staves, it was possible for Dr Trippett to work out his various stages of revision quite precisely. Many accidentals, rests, and key signatures were missing, so these needed to be established – often by process of elimination and by reference to Liszt’s contemporary musical language. The Altenberg, where Liszt composed the music. One of the most serious editorial challenges was that several accompanimental patterns begin but then peter out, leaving the fully notated vocal lines above a set of vacant staves. "A lot of the manuscript is very hard to read, but the scruffiness is deceptive. In the past, people probably saw the &apos;gaps&apos; and thought, well, he hadn’t decided what to do. But in fact Liszt had set up a formulaic pattern, he didn’t need to write out all the busy notation in full because the pattern continues, adapted to the harmony of the vocal lines. In other words, he knew perfectly well what he meant." On the face of it, this posed a real problem. But it became apparent that such ‘gaps’ only occur when Liszt sets up a standard accompanimental pattern, one that was evidently too obvious to belabour by writing out in full; on that basis, the editorial task was to realise the various forms of shorthand Liszt left and write out the pattern in full that he had assumed, but felt unnecessary to notate. "One might say it is a manufacturing operation," Liszt said of Italian opera in 1839, "where everything is known in advance and nothing is required but the actual time needed to put the notes on paper." Dr Trippett explained, "The gaps and various forms of shorthand were not really that surprising when you consider Liszt was writing this manuscript for his eyes only; he knew what he meant, and his musical memory was phenomenal; he only needed to notate what he felt wasn’t obvious. "Unpicking this compositional process, and reverse-engineering the moments of creative decision making, if you like, has been utterly fascinating. The only area where we had to actively add anything is at the very end. "There’s a grand march, theatre music, in which the king marshals his troops and sends them off to war. Liszt doesn’t give us the final cadence. So I looked for material earlier in the act that had the right kind of ‘closing’ character and transposed it, adding a final stretto, some 20 bars in total." Subsequently, his creative partner and friend, princess Cristina Belgiojoso suggested an unnamed Italian poet and refugee could write the libretto. Liszt agreed, on condition that Belgiojoso revise and edit all text, that it would emerge under her authority. It seems the libretto was written while the poet was imprisoned for political activity. Belgiojoso refers to him as her "nightingale" but never names him in her letters (which were opened by Hapsburg spies), and Liszt probably never knew h Liszt requested changes to the libretto for Acts 2-3, and—it seems—never received these. Belgiojoso herself was preoccupied with efforts towards Italian independence, and her collaboration with Liszt fell by the wayside, much to his frustration. One reason why Liszt abandoned the opera may have been that he simply never received a revised libretto text for acts 2-3 and so could not set them to music. The libretto, based on Lord Byron’s tragedy Sardanapalus (1821), tells the story of a peace-loving king of Assyria, more interested in revelry and women than politics and war. He deplores violence and brutality and, perhaps naively, he believes in the innate goodness of humankind but is overthrown by rebels and burns himself alive with his lover, Mirra, amid scents and spices in a great inferno. For his part, Liszt told a friend that his finale will aim to "set the entire audience alight!" The topic was famously immortalised in oil by Eugene Delacroix in 1827. Although Dr Trippett worked independently on rescuing the music Liszt notated, three other key figures in the project reconstructed the Italian libretto. Dr Francesca Vella, Research Fellow in Music at St John’s College, initially transcribed the Italian text, while Marco Beghelli, Associate Professor of Music at the University of Bologna, reconstructed the metrical and rhyming scheme of the poetic text. David Rosen, Emeritus Professor of Musicology at Cornell University, then translated it into English. The libretto text only survives as underlay in the music manuscript, so the researchers aimed to retrieve the original libretto by deciphering and critically examining the text Liszt set to music. Liszt’s Italian was imperfect, leading to spelling mistakes and incorrect grammar. There are occasional missing words, very little punctuation, and in one place, a full subclause is missing. In March 2017 Cambridge University and the BBC first announced that Dr Trippett had resurrected Liszt’s forgotten opera with widespread press coverage. 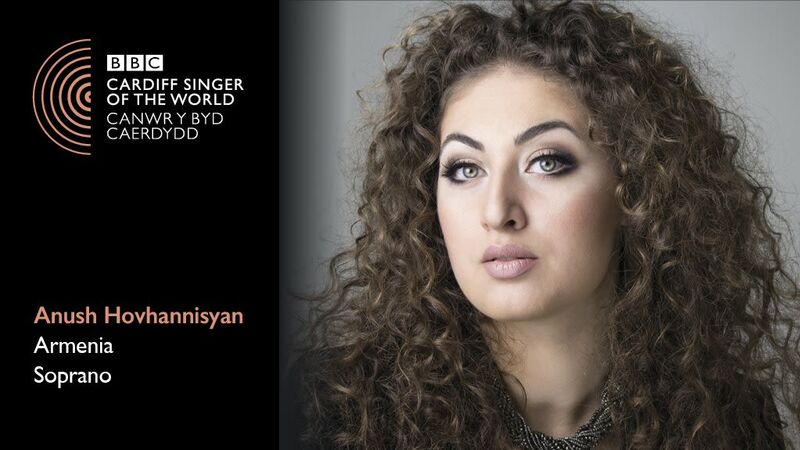 A 10-minute preview from the opera was performed for the first time in public as part of the renowned final of the BBC Cardiff Singer of the World competition in June 2017, performed by Armenian soprano and rising talent Anush Hovhannisyan. The performance was broadcast on BBC Four and BBC Radio 3. "Who else gets to premiere a new opera by a superstar composer from two centuries ago?” said Hovhannisyan. “It’s a once-in-a-lifetime opportunity and the entire process of making it work – from thinking about the character and what Liszt would want – has been a privilege. We have had a wonderful, deeply creative and imaginative time piecing this together and I feel very blessed to have been a part of it." Between April 2017 – July 2018 Dr Trippett orchestrated the opera according to Liszt’s cues, and based on the scores on Liszt’s desk during the 1850s. "Orchestrating such a skeletal score was an involved but thoroughly fascinating task. You are always asking what sound colour did he imagine here, what level of shading there. What timbres work best for this texture, what level of rhythmic articulation is appropriate? "Verdi’s moments of climax are very different to middle-period Wagner; Liszt’s moments of symphonic apotheosis are not the same as Berlioz’s – since Liszt admired all of these composers’ works, his choices would have been wide. Working so intimately with the score, and comparing it to the operatic repertory of the age in such forensic detail taught me about 19th-century opera from the inside out," said Dr Trippett. In 2017, the Staatskapelle Weimar offered to give the world premiere - Hungarian-born Liszt conducted the Staatskapelle Weimar for 13 years from 1848, and composed the music in Weimar - the first reading rehearsal took place on 5 June. It was a chance to judge the orchestration and assess the scale of the piece. The world première took place with the same orchestra in Weimar, conducted by Kirill Karabits on 19-20 August 2018 with singers Joyce El-Khoury, Airam Hernández, and Oleksandr Pushniak. This first performance was not without its tribulations. Tenor, Airam Hernández was brought in to sing the part just a week prior to the performance owing to illness in the original line up. "This was one of those things that happens once in a lifetime," says Hernández , "the world premiere of a piece created by one of the greatest musical geniuses of all time, I feel lucky to show it to the world for the first time." El-Khoury, a Lebanese-Canadian who specialises in bel canto – a rich and lyrical type of operatic singing – says she did not hesitate to take on the main female role of Myrrha. "It is spine-tingling to be giving voice to a work which has never been heard before, with singers, chorus and orchestra, and to feel it literally lift off the page. The various ossias – or alternative versions – Liszt has offered signal to me that he was a singer’s composer, giving the singers a choice and trusting them to make the right decision for themselves." Kirill Karabits, the conductor, added, "This opera proves once again what a versatile composer Liszt was. … I hope that the discovery of this highly interesting piece will reveal his great talent as an opera composer." The critical edition of the score for Sardanapalo will be published as part of the Neue Liszt Ausgabe in August 2019. David Trippett’s orchestration, a performing edition, is published by Schott. Following a broadcast on Deutschlandfunk Kultur, the first recording of the work was released on 8 February 2019. "The music that survives is remarkable – a unique blend of Italianate lyricism and harmonic innovation. There is nothing else quite like it in the operatic world. I hope that musicians will now take this up so it can be enjoyed by listeners everywhere."